Take a 60-second break to enjoy views of pure Lowcountry bliss courtesy of Southern Living. Suzanne Hardie found herself drawn to Charleston, S.C., and its pedestrian-friendly, antebellum waterfront after wrapping up her chemical-engineering career with Procter & Gamble Co. She had been living in a small German city, where she walked everywhere and enjoyed the historical charm. In fact, a few years before Ms. Hardie, who is 57 years old, and her husband Frank, 62, moved to Charleston in 2008, they bought a two-bedroom condo facing the Cooper River. Now they enjoy being a few blocks from the downtown hubbub while also being able to watch porpoises and herons from their porch. “We have one car, but we hardly use it,” Ms. Hardie says. “You see history wherever you go. If you look across the river from us, the USS Yorktown is stationed there. [And] I’m right by Battery Park, which is where the Civil War started” with the shelling of Fort Sumter. The Hardies are part of a steady stream of retirees finding their way to South Carolina’s Lowcountry, an area that sweeps inland from the barrier islands of the Atlantic and extends some 150 miles along the state’s coast. Charleston sits in the center of this landscape and reflects its multiple personalities: a mix of cultural offerings, entertainment, history and natural beauty. The city proper is relatively small, with about 115,000 residents. But new arrivals find no shortage of activities. Shops and gourmet restaurants are plentiful; schools reach out to older students (the College of Charleston offers a member-led Center for Creative Retirement with field trips, weekly meetings, study groups and lunches); and art festivals fill the calendar. Among the most prominent is the Spoleto Festival USA, a two-week extravaganza each spring. And then there’s Charleston’s unique look. 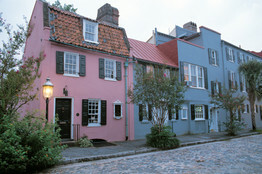 Its historic core, nestled between two rivers, features pastel-painted colonial homes and churches dating to the 1700s. The Battery, at the city’s southern tip, features monuments and military relics, overlooks the rivers and harbor, and is a favorite place for many residents to walk. Nearby are plantations and gardens open for tours, along with pristine Atlantic beaches. “It’s exceeded our expectations,” says Allan Anderson. Mr. Anderson and his wife, Jane, both 67, initially settled on nearby Kiawah Island in 2004 after living in London for eight years, where Mr. Anderson finished his career with brokerage firm Edward Jones. In 2007, the couple decided to move to Charleston. Now their home is a converted store with a walled brick courtyard. Today, the Andersons often pack two events into one night, such as a reception for a nonprofit group followed by a College of Charleston basketball game. “I can’t imagine not living here,” Mr. Anderson says. That sentiment is heard often among transplants to the area, particularly when the conversation turns to museums, galleries and the like. Last year, Anne Fortson, 63, and her husband David, 66, started splitting time between homes in town and on the nearby Isle of Palms. As a present, she gave him a membership to the Charleston Library Society, founded in 1748, which bills itself as “the South’s oldest cultural institution.” Among the benefits: lectures by authors associated with the city, including novelist Pat Conroy. Fred Himmelein, 65, describes Charleston as a “cultural welcome wagon.” He and his wife Abby, 67, moved to the city in 2006 after retiring from their careers in law and owning health-food stores in Indianapolis. (They still have a store in Muncie, Ind.) The couple’s home in Charleston originally served as a Civil War hospital. Today, he serves on the board of the city symphony, while Ms. Himmelein participates in a women’s giving circle that pools members’ contributions to help women entrepreneurs in developing countries. She also is a volunteer advocate for abused children and works for a domestic-violence shelter. 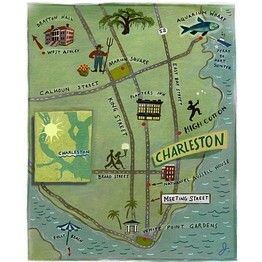 It’s said that in the late 18th century, nine of America’s 10 wealthiest men lived in the Charleston area. This Southern city is no longer one of America’s richest, but it may well be the most seductive. Horse-drawn carriages still roll past pristine, prettily hued antebellum homes. Craggy live oaks shade the streets, and Confederate jasmine perfumes the air. While strolling the lower peninsula, you might glimpse a private garden blooming beyond a brick wall topped with cannonballs, or catch a croquet party in the park. 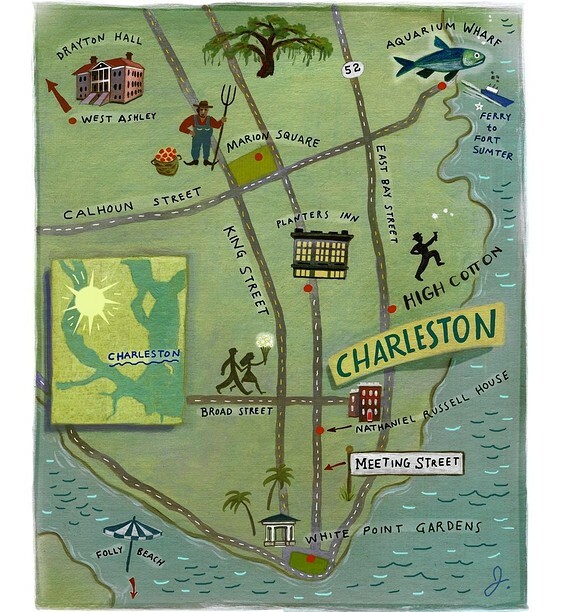 But despite its slow-paced gentility, Charleston is no relic—not with the authentically preppy boutiques, arts festivals that bring together everything from modern dance to bluegrass music (Spoleto kicks off May 25) and chefs who take local staples like shrimp, grits and rice to new heights. 8 p.m. Land at Charleston International Airport, which receives direct flights from a number of East Coast and Midwestern cities, and is just a 20-minute ride from downtown. Consider picking up a rental car—while the heart of Charleston is very walkable, a taxi from the airport to the center of town costs about $30 and you’ll want your own wheels on Monday. Don’t worry about missing dinner—this is one of those rare smaller cities that likes to live late. 8:30 p.m. Check in at an inn with some character. Downtown Charleston fills a lobe of land bounded by the Ashley River to the west, the Cooper (locally pronounced “COP-pah”) River to the east and the famous harbor of wealth and war where the two meet. It’s full of charming inns and bed-and-breakfasts; shoot for one in the middle of the tourist area—it will be quieter than you think, and provide easy access to the historic district. Planters Inn is one of the plusher options, with graceful, traditionally furnished rooms and a notoriously good 12-layer coconut cake (from $214 per night, 112 North Market St., plantersinn.com). The sunny Fulton Lane Inn has four-poster beds (from $275 per night, 202 King St., fultonlaneinn.com). 9 p.m. Stroll several blocks east to Slightly North of Broad (aka S.N.O.B.) for an upscale Lowcountry dinner (mavericksouthernkitchens.com). Executive chef Frank Lee gives local ingredients expert treatment—as in the trademark “maverick shrimp and grits,” a creamy concoction piled with country ham, sausage, tomatoes and green onions. Consider calling it a night after the main course—tomorrow is going to be a long, food-filled day. 9 a.m. Skip the hotel breakfast and walk or take the free trolley up several blocks north to Marion Square. The weekly farmers’ market will already be buzzing (charlestonfarmersmarket.com). You can easily spend a couple of hours here, sampling boiled peanuts and fresh organic juices from the food stalls, browsing produce and crafts or lounging on the lawn listening to live music. Try the seasonal bites wrapped up in Indian bread at the Roti Rolls stand, capped by a chocolate sea salt popsicle from King of Pops. 11 a.m. Not the carriage-tour type of traveler? You are now. A one-hour spin is an easy and vaguely educational way to get to know downtown Charleston (plus, the city limits the number of carriages on the streets at once, which keeps them from getting obnoxious). Palmetto Carriage is one of several reliable options, and is based in a big red barn near eastern Market Street ($22, palmettocarriage.com). The draft horse will keep a leisurely pace while your guide points out historic churches and significant homes, and explains the local “single houses,” whose porches face teasingly away from the street to catch breezes and keep out prying eyes. Noon For lunch, walk to Husk, chef Sean Brock’s elegant, understated temple to Southern fare (76 Queen St., huskrestaurant.com). A blackboard in the entryway lists the local sources of its ingredients—everything from the lettuce to the salt. 1:30 p.m. Mixed in with the upscale chain stores on King Street are a number of independent shops, some of which have been catering to Charlestonians for generations. After lunch, walk a couple of blocks up and then all the way down King to the Battery. 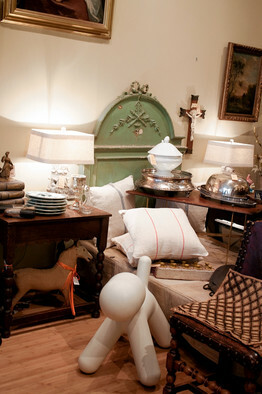 Highlights along the route include Parham & Co., where Batu Aytore and his wife, Ashley, sell antiques and housewares gathered in Europe, from polo balls to jewelry to tea caddies (344 King St., parhamandcompany.com). Preppy emporium M. Dumas & Sons has all the needlepoint belts, pennant-print boxers and madras jackets your heart might desire (294 King St., 843-723-8603). Worthwhile boutique stocks modern fashion, accessories and gifts (268 King St., shopworthwhile.com). Old Road Mercantile (194 King St., oldroadmercantile.blogspot.com) carries French-y stationery, books and foodstuffs, while tiny sister shop Lily (196 King St., lilycharleston.com) has colorful, contemporary products. Past a slightly dull stretch south of Queen Street, browse the cookbooks at Heirloom Book Co. (123 King St., heirloombookcompany.com). Grab some refreshments across the street at Bull Street Gourmet & Market (120 King St., bullstreetgourmetandmarket.com) and keep strolling south. King Street narrows and becomes an intimate residential stretch to the water. Sara Clemence/The Wall Street Journal Parham & Co.
3 p.m. Linger at White Point Gardens, the tip of the peninsula. From here you can see where the twin rivers empty into the Atlantic Ocean, and Fort Sumter, site of the first battle of the Civil War (more on that later). Explore the cannons and mortars from the era scattered throughout the park, and admire Two Meeting Street Inn across the way. Also known as the “wedding cake house,” it was built in the late 19th century by Martha Williams, whose merchant father gave her the cash to build it on her wedding day. 3:30 p.m. Walk north along the water on East Battery, then make a left at Water Street to the Nathaniel Russell House, which dates to 1808 and is filled with period furniture (check out the three-story spiral staircase, built largely without nails or screws). Thirty-minute tours take place every half-hour ($10, 51 Meeting St., historiccharleston.org). 4 p.m. Lower Meeting Street contains one of the loveliest stretches of architecture in the country, with pristine mansions guarded by lacy wrought-iron fences, pastel wooden homes, brightly lacquered doors and flickering gas lamps. Take your time. Read the historic plaques. Pretend you live here. 6:30 p.m. After freshening up at the hotel, head over to High Cotton for some live jazz (starts at 7). Park at the wood-paneled bar and order a cocktail made with the restaurant’s private-label spirits. (The Southern Mule, with vodka, lime juice and Blenheim ginger beer, has a kick to it.) Share the charcuterie plate, piled with house-made sausages, hams, pâtés and condiments (199 East Bay St., mavericksouthernkitchens.com). 7:45 p.m. Have a taxi take you up King Street for dinner at the Macintosh, a brick-walled, wood-beamed space where chef Jeremiah Bacon (yes, really) has been wowing diners with dishes like perfectly grilled deckle (the flavorful cap of a rib-eye steak that’s unusual on menus) and rich bone marrow bread pudding (479 King St., themacintoshcharleston.com). 9:45 p.m. Walk down the street to Closed for Business (453 King St., closed4business.com). The industrial-eclectic bar has more than 40 beers on tap, and unlike many drinking spots in town, it isn’t packed with college kids. If mixers are more your thing, the nearby Cocktail Club serves artisanal drinks, some with its house bitters (479 King St., second floor, thecocktailclubcharleston.com). 11:30 p.m. Hungry again? Order a duck pot pie at Closed for Business or head a half-mile up King to Butcher and Bee, a gourmet sandwich shop located in a very unlikely part of town (call a cab) (654 King St., butcherandbee.com). Disregard the barbed wire fence out front and take a seat at the long communal table. Your neighbor may well be an off-duty chef noshing on a banh mi sandwich or the killer PB&J. Settle in—they’re open until 3 a.m.
10 a.m. Start slow—everyone else in town does. Then drive a couple of miles north for a Southern brunch at the sunny, airy Hominy Grill (207 Rutledge Ave., hominygrill.com). There will likely be a line outside; put your name on the list and have a seat in the courtyard or stroll around the block. Once you’ve scored a table, have a fluffy biscuit with your meal—either on the side or in a “big nasty biscuit” stacked with a fried chicken breast, cheddar cheese and sausage gravy. But leave room for the delectables to come. Noon Until a few years ago, there wasn’t much point in meandering north of Marion Square; today, Upper King Street has several blocks worth of edgy eateries and boutiques. 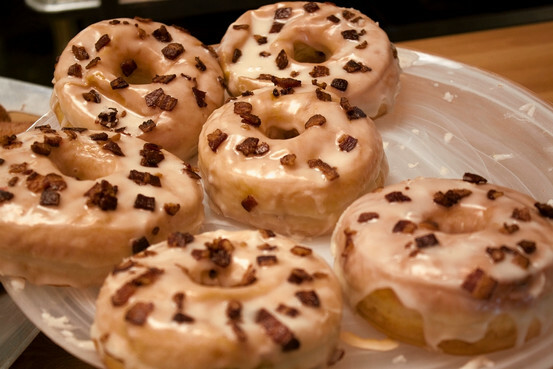 Drop by the six-month-old Glazed Gourmet Doughnuts for a sweet treat: the maple-bacon doughnut studded with you-know-what is irresistible (481 King St., glazedgourmet.com). Nearby Cupcake doesn’t skimp on the frosting—or the flavors, including French toast and peppermint varieties (433 King St., freshcupcakes.com). Macaroon Boutique offers fresh-baked classics: flaky croissants, pain au chocolat and pastel cookies (45 John St., 843-577-5441). 1 p.m. Time to choose your own adventure. To feel some sand between your toes, drive 15 minutes south to Folly Beach, a popular local retreat. Spend a couple of hours walking the beach, pier and town. Wildlife lovers can take a guided kayak trip on the Folly River with Flipper Finders ($45 per person, flipperfinders.com). If history is more your jones, head over to Liberty Square at Aquarium Wharf and hop the 2:30 boat to Fort Sumter, the island installation that took the first hits of the Civil War in April 1861 ($17 for adults, spiritlinecruises.com). The fort is mostly a ruin, but there’s enough to keep you interested for the two-hour trip. If you haven’t gotten enough of the city, Charleston has walking tours aplenty—but Tommy Dew’s historical circuits are among the most in-depth. His last nearly two hours, and normally start at 11 a.m. ($25 for adults, onthemarkettours.com) but he will also schedule private strolls that fit your schedule. 4 p.m. Since you’re probably getting hungry again, down a few oysters—fresh on the half-shell or Southern-fried with blue cheese and Buffalo sauce—at Pearlz Oyster Bar downtown (153 East Bay St., pearlzoysterbar.com). Then head back to the hotel and crash for a spell. 7 p.m. Head a half-mile north to Virginia’s on King for a polished soul food dinner—or supper, as it’s called here (412 King St., virginiasonking.com). Dig into the fried pickles, she-crab soup and maybe a Lowcountry boil, a stew of shrimp, potatoes, sausage and corn. 9 a.m. Have breakfast at the hotel, then pick up some gourmet picnic goodies at Caviar and Bananas (51 George St., caviarandbananas.com). Keep in mind they may be in the car for a couple of hours. 10 a.m. West Ashley, on the other side of the river, is part of the city of Charleston, but can feel like a world—and a century—away. Former plantations, now museums, line an 11-mile stretch of Highway 61 shielded with live oaks. 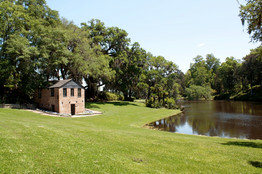 For the tourist experience, visit Magnolia Plantation & Gardens (3550 Ashley River Rd., magnoliaplantation.com). Otherwise, bypass it for the 65-acre Middleton Place and sign up for the hourlong African-American Focus Tour (tours start at 11), a frank exploration of the slave experience, which local tours too often gloss over (4300 Ashley River Rd., middletonplace.org). The half-hour House Museum Tour takes visitors through the 1775-built guest quarters, the only part of the main residence to survive (tours start at noon). Show yourself around the extensive formal gardens. 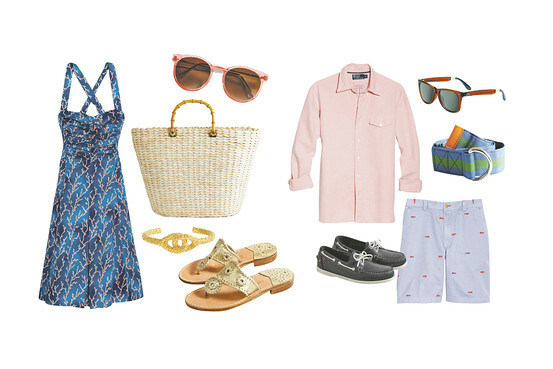 Noon Spread your picnic out on a table—look for one among the trees, for shade—and break for lunch. 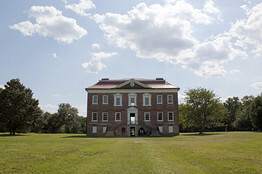 1 p.m. Furnishings are not the focus at Drayton Hall—mostly because there are none (3380 Ashley River Rd., draytonhall.org). The country’s oldest example of Georgian Palladian architecture, the house, which dates to 1738, remains refreshingly unrestored. The National Trust’s tour is engaging and meticulously factual; when guides reveal the source of the stubborn stains on either side of a fireplace on the first floor, you can believe them. 3 p.m. If you have time, scoot back into town and grab a final bite at Martha Lou’s Kitchen (1068 Morrison Dr., 843-577-9583). This tiny, gritty institution dishes up homemade soul food, like crisp fried chicken and traditional chitterlings. Martha herself is a local icon; her daughter, Debra, will dance and holla her way through your meal. Whatever you choose, the food should sustain you through the flight—and possibly through Tuesday.